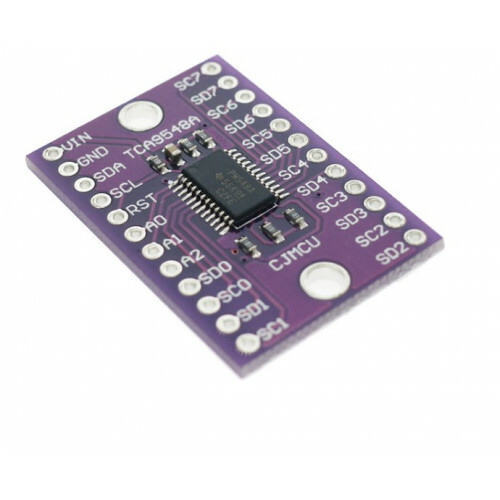 This TCA9548A I2C multiplexer module can bind up to eight I2C of the same address. 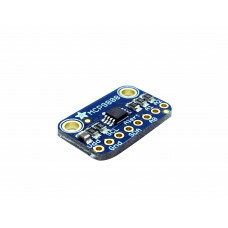 It serves selects and sends commands to the selected set of I2C pins. 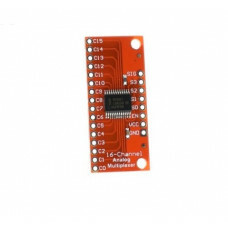 Using it is quite easy, the multiplexer is on I2C address 0x70 (but can be adjusted from 0x70 to 0x77), write a single byte with the desired multiplexed output number to that port so that future I2C packets will get sent to that port. RST - It is pin reset, reset the image multiplexer. It is connected to HIGH, the reset connected to ground. 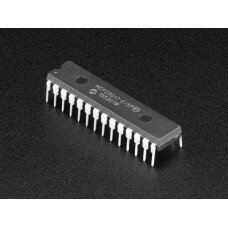 A0 A1 A2 - Pins Selection Multiplexer. The default mode is to address 0x70 and pins are connected to LOW (GND). Conectaţii to come to set addresses from 0x71 - 0x77.